Things have slowed down in the garden, the greenhouse is clear of all the annuals and the pots mostly stored for next year, except for some chilli plants which apparently can over winter if kept in a frost free shed. They are looking good so far, I think partly due to the good drainage and aeration of the soil in the Air-Pot containers which avoids soil staying too wet. 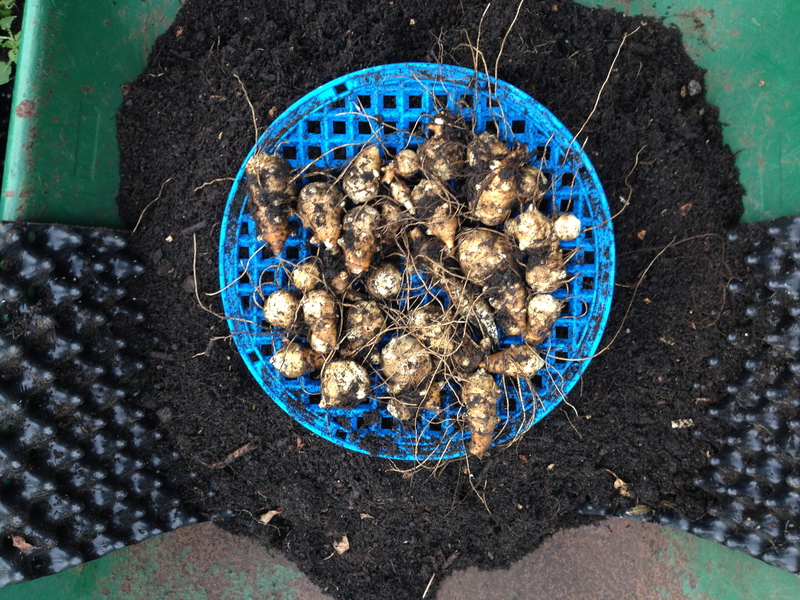 A couple of Jerusalem Artichokes which I stuck in a pot in Springtime, I found had produced a nice little clutch of tubers. This was a very easy crop to grow and harvest, I simply opened the container in a wheelbarrow and picked out the crop, I understand it can be hard digging out every last piece if they are in the ground so this is a good way to stop them becoming a permanent fixture in the garden. The same is true of horseradish which yielded nice roots in a pot, I just wish I had done the same with my mint! 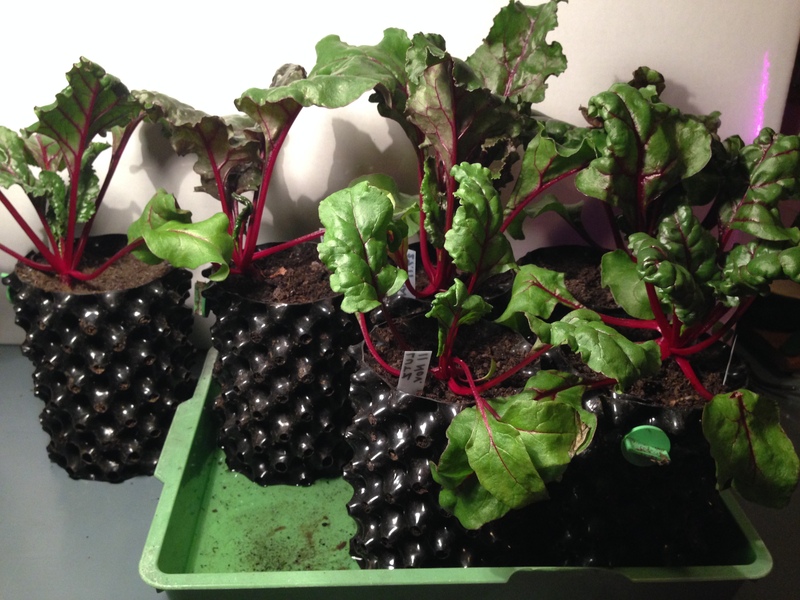 Just to liven up the winter months I decided to try and grow some beetroot in 1 litre Air-Pot propagation pots in my new grow tent under lights. Because the tent is inside the house which is a dry heated environment I really wanted the pots to be able to draw up water from below rather than rely on hand watering from the top. This is not normally possible with an Air-Pot due to the raised base unless you dunk the pot in quite deep water, and 2 or 3 cm of water will always remain in the tray or saucer below the base, this is not desirable as roots will grow into standing water. So I threaded a strip of capillary matting through holes in the base leaving two tails dangling down, this means that if I pour a shallow puddle of water into a tray it is quickly drawn up the wick into the compost and no water remains below. I find this keeps the compost in the pot well wetted right down to the bottom and I do not have to frequently lift pots to check they are moist enough. The plants look healthy and I already had a little picking of leaves to eat, very nice they were in a saag alloo curry.